Global Peace Foundation (GPF) Uganda’s Character and Creativity Initiatives (CCI) schools have demonstrated a high level of innovation, entrepreneurship, and teamwork through embracing the vision and values of One Family under God. In key Uganda CCI demonstration schools, participants including administration, staff, teachers, students and parents have reported positive outcomes related to this inclusive, ethical framework and its corresponding CCI activities and programs. The most recent effort to integrate the teaching of universal principles and shared values has enabled schools to create both a caring community atmosphere and improved the learning process for all the various stakeholders in the school community. One notable practice that has yielded significant results in the CCI demonstration schools is the changing of the traditional sitting arrangements of learners and the makeup of student group assignments. By consciously engaging students of different religious and cultural backgrounds to work and interact with one another in service to the community, this has helped to transform the culture not only in the schools but in each student’s homes as well as in the wider community. 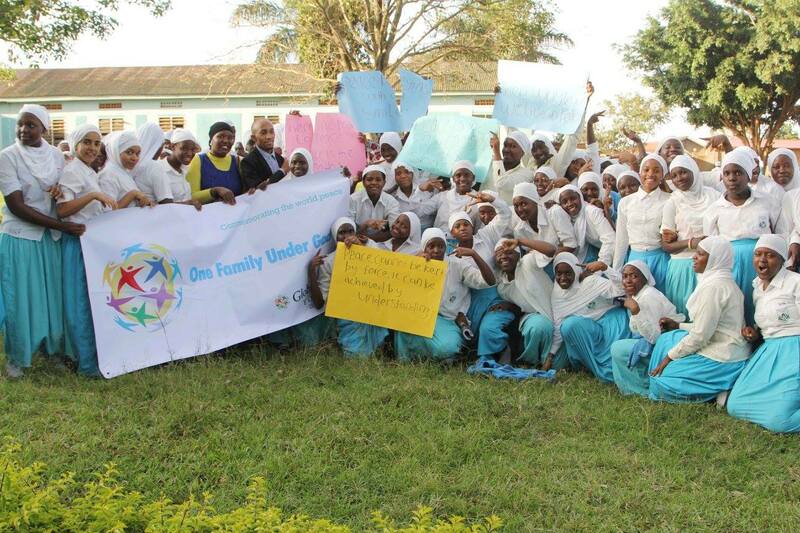 When students of diverse backgrounds work together for projects such as community cleans-ups, tree planting, support work for orphans, they model desirable attitudes and behaviors for those they serve; they not only cultivate leadership skills but also naturally develop a culture of care and service among students, families and the community. Another key practice of CCI actively involves parents as well as Muslim and Christian leaders to guide teachers on how to integrate the values of respect, dialogue, reconciliation, teamwork and unity beyond religious and cultural boundaries in the classroom and the school in general. CCI demonstration schools have embraced the idea of interfaith prayers, calling upon unity in diversity, peace and academic excellence. The schools also invite faith and cultural religious leaders to jointly work to nurture good character among students and the community at large. This strengthens awareness of and commitment to the vision of One Family under God and motivates students to think of character and creativity as part of a “whole person education” even beyond the schoolyard. Parents of students are invited to participate and observe their children during School Visitation Days, which has helped to invite higher parent participation in schools. This, in turn, has shown to help to make more accurate assessments and evaluations to tailor learning and engagement in ways that improve discipline, academic performance and create effective solutions to a student’s unique challenges. 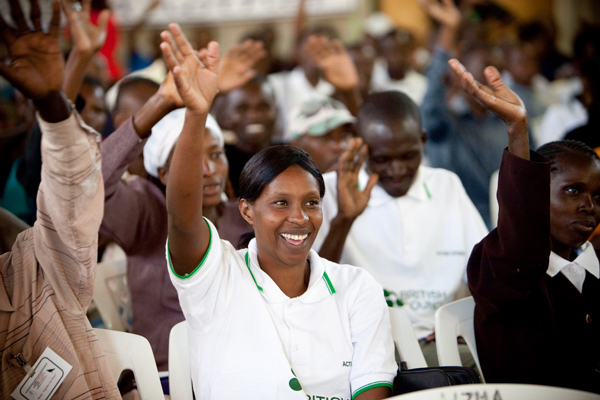 This practice takes on the idea that in educating for a world of One Family Under God, individual families must be engaged to become the basis for peace and development of every individual. Parents and teachers jointly work together to educate the “whole person” through investing resources in CCI best practices. Students have also taken initiative to launch service projects in CCI demonstration schools. For example, they have been collecting clothes, money and books to donate to children from underserved communities. Mpoma Girls School provides free water to local families during specific times throughout the day, filling an important need and improving community health and life in the area. These are just some of the remarkable activities and outcomes from engagement on the vision of One Family Under God and the implementation of the Character and Creativity Initiative in pilot schools in Uganda. Learn more about the Character and Creativity Initiative and sign up for monthly newsletters for the latest from Global Peace Foundation.